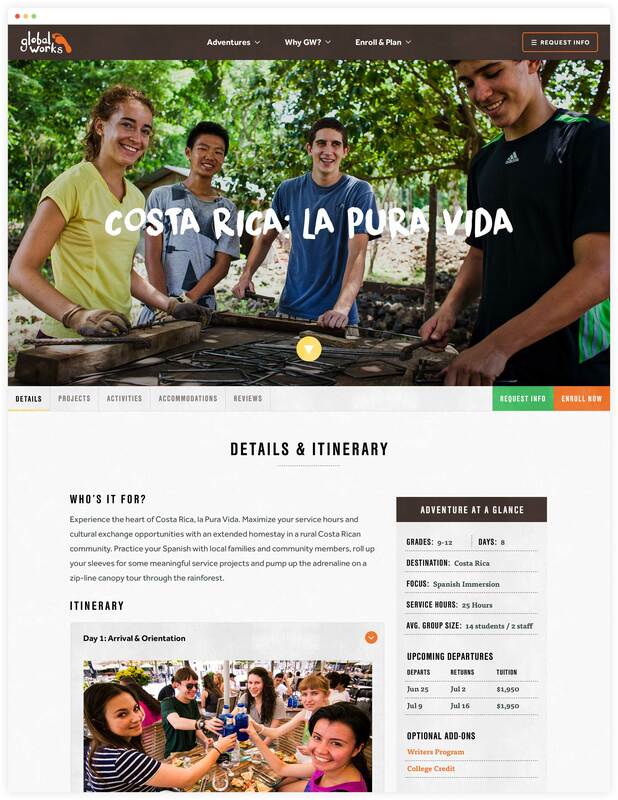 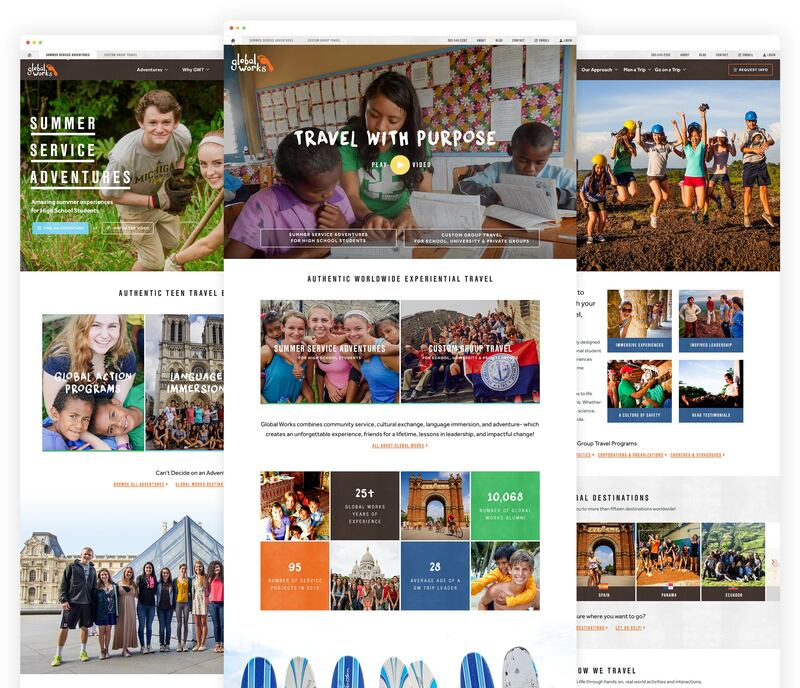 With distinct audiences for custom group travel and teen summer service adventures, specialized homepages were designed for each business segment. 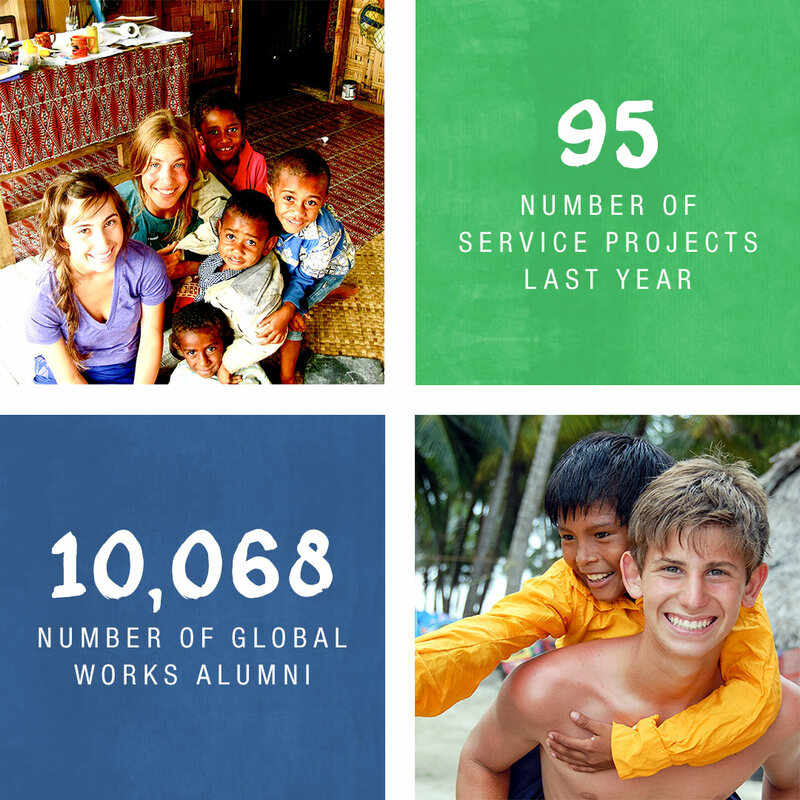 The brand is defined by highlighting numerous ways that the organization impacts communities around the world. 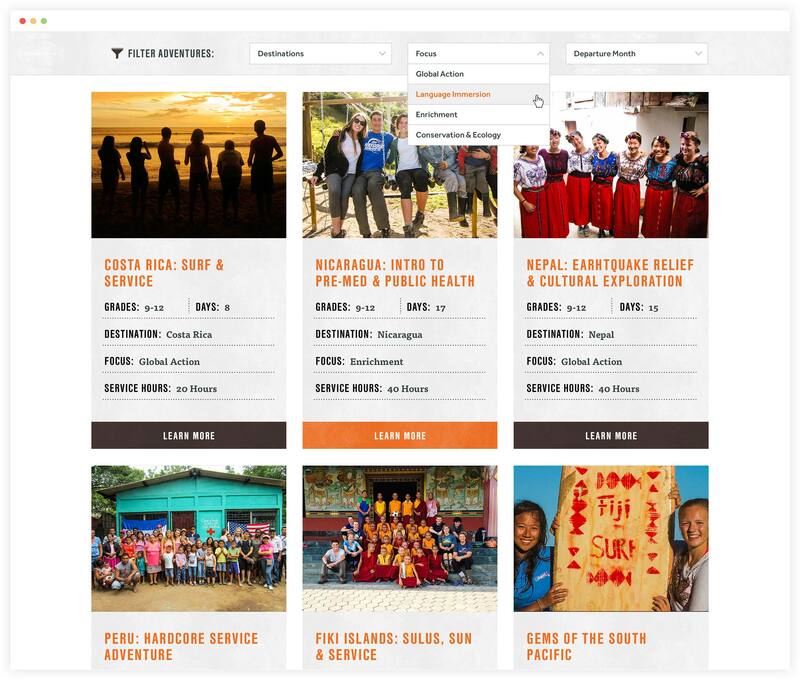 The ability to filter by destination, focus, and departure date helps users find the adventure that best suits them. 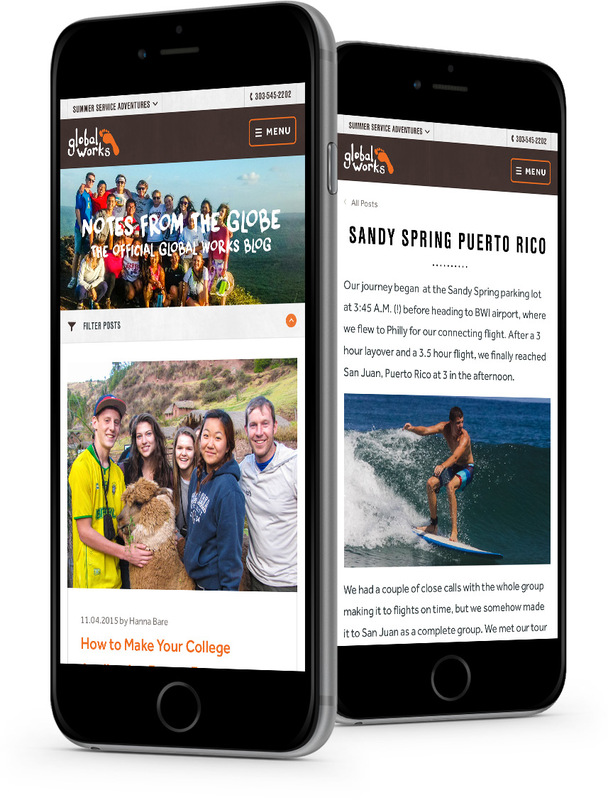 We leveraged Global Works’ extensive media library and traveler stories to create adventure profiles with deeper meaning and purpose. 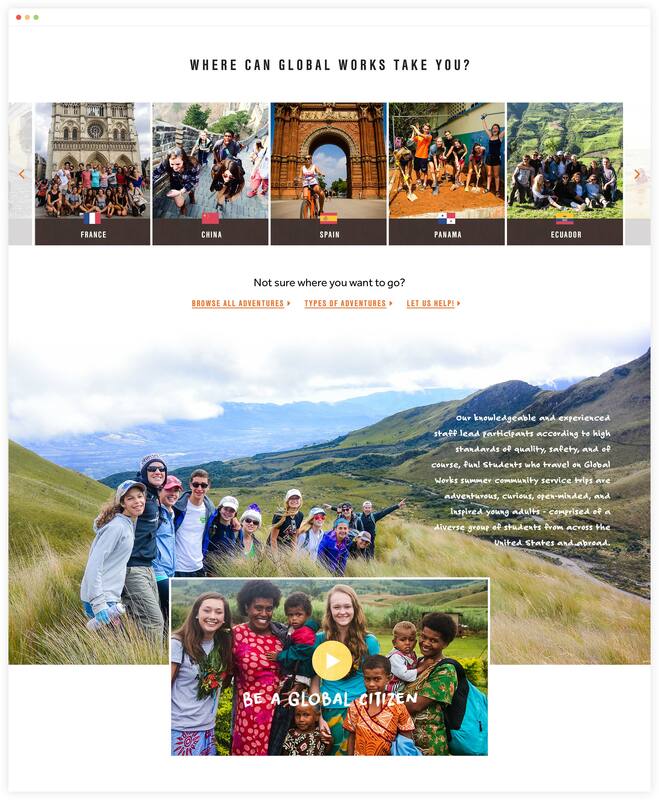 With trips to over 20 countries annually, we created landing pages that highlight the local culture and service opportunities at each destination. 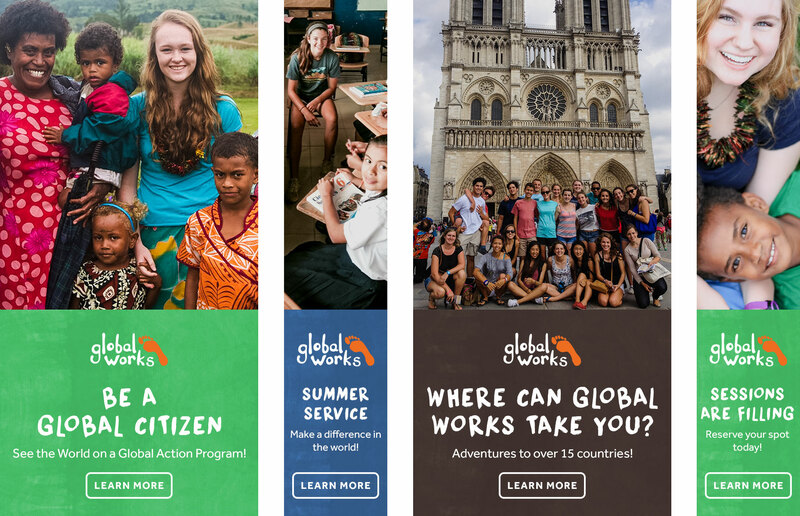 The Global Works blog is updated daily by each trip coordinator, providing readers with unparalleled insight to life on the road. 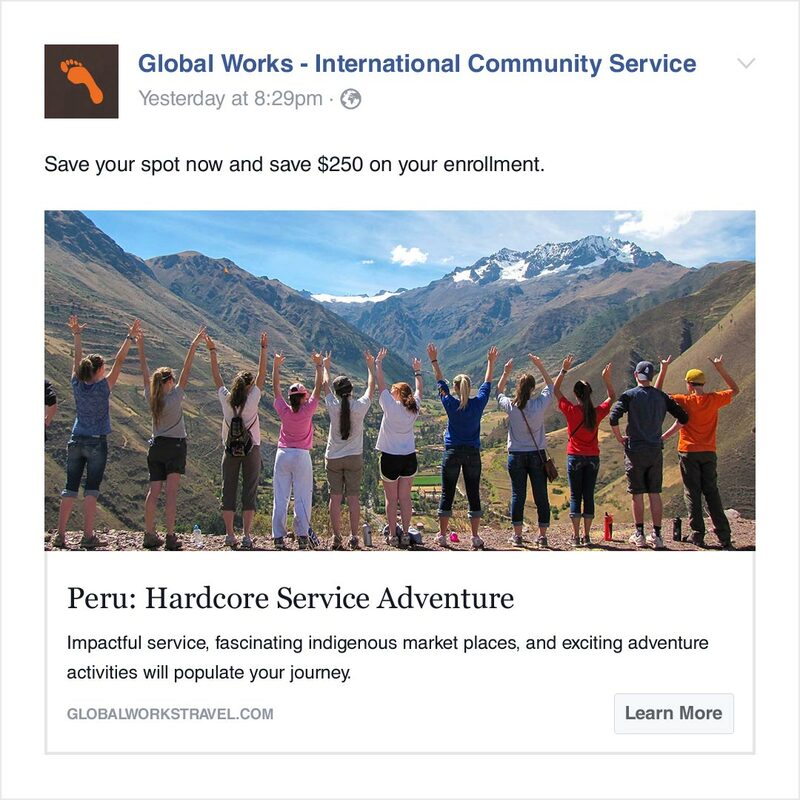 Integrated Facebook and Google advertising campaigns were optimized to drive brand awareness among target demographics.